Gradual and healthy separation from both parents. Development of an individual identity. society, school and peer groups. Understanding of sexual and other feelings in context of relationships. Children of this age do well with many different plan models. For these late adolescents, communication between parents remains essential, especially regarding curfews, driving, dating, and overnights away from both homes. This is a time when children are particularly vulnerable to changes within the family and pressure from outside the family. Maintaining stability and consistency can be challenging as an adolescent’s feelings are often changeable and intense. Increased schoolwork, extracurricular activities, jobs, peer relationships, and sports are often more important than time with family or either parent. As they move through this stage, many teenagers become focused on future goals such as education, work or other post-high-school plans. 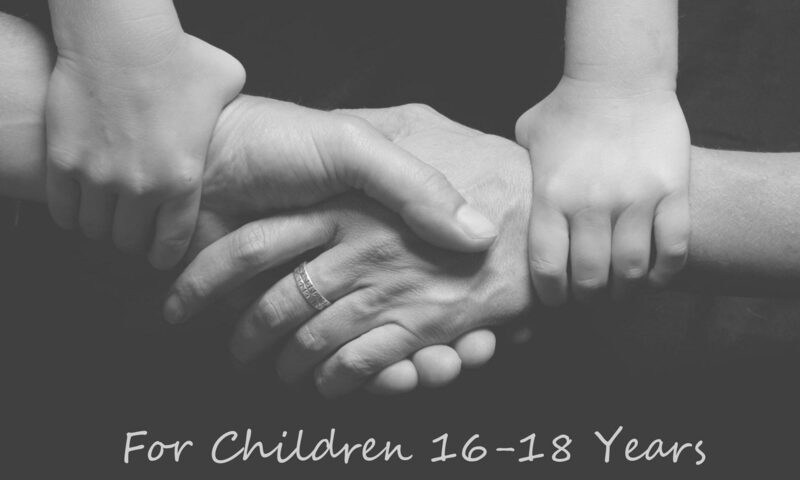 While the sixteen to eighteen-year-old appears to be struggling to become independent, there is still a need for consistency, support and meaningful time with both parents. Parents should be aware of a teenager’s need to be consulted, informed and involved when making plans without giving up the adult/child relationship and the structure that can only be provided by both parents. Parents should remain flexible while maintaining age-appropriate controls.